Following the tradition of other Dicom products, this unit is constructed of the finest components available. Featuring a rugged plastic frame with a brass #6 machine threaded center nut, standard type 106 duplex receptacle outline and interchangeable jack inserts. The TV control jack is a standard 3 conductor 1/4? phone jack with color coded pigtails. The F-81 jack is a silver-plated contact type for minimal signal loss. Comes with box mounting screws and solderless wire connectors (3). Other colors may be available upon request. 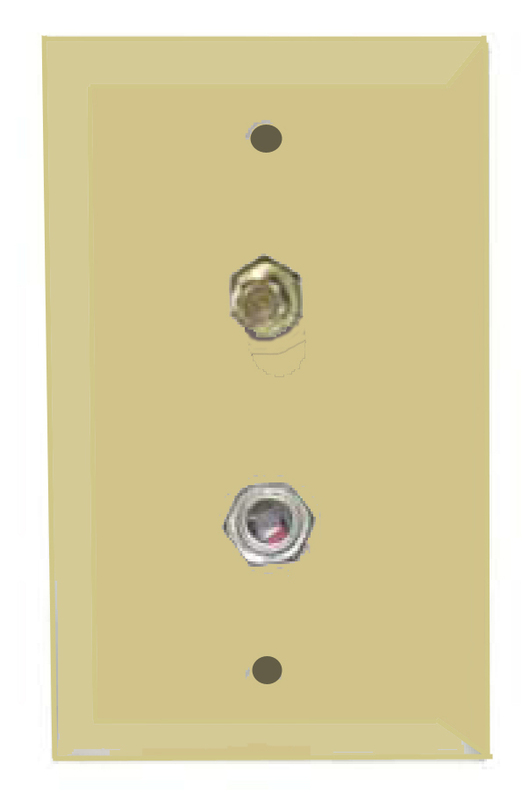 Featuring a rugged ivory colored plastic frame with a brass #6 machine threaded center nut, standard type 106 duplex receptacle outline and interchangeable jack inserts. Update those old outlets using a Decorator style sub-assembly. 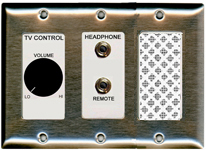 Featuring a rugged plastic frame with taps for using a Decorator type faceplate. Update those old outlets using a Decorator style sub-assembly. 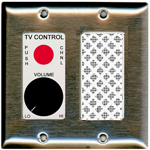 Featuring a rugged Ivory colored plastic frame with taps for using a Decorator type faceplate. 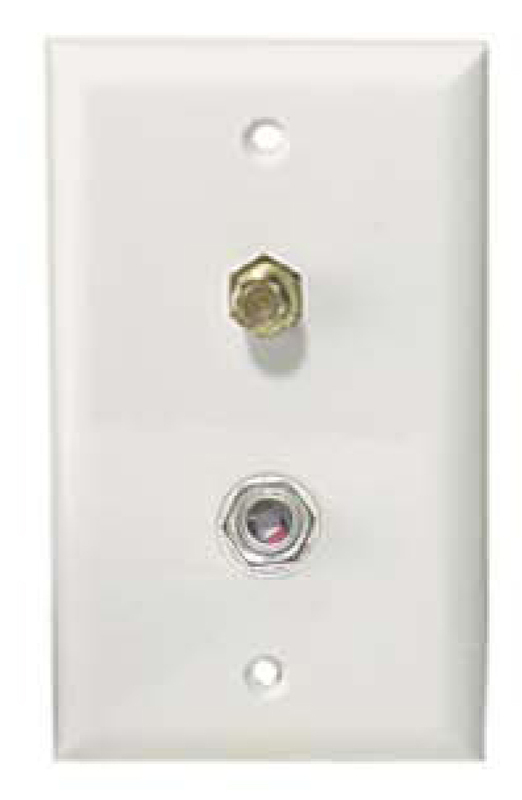 This one-piece design features the same high quality three conductor TV Remote jack and F-81 RF jack as the units above, all mounted on a ABS High-impact molded plastic wall plate in White. Comes complete with mounting screws, connectors, and color-coded, pre-stripped 4" leads for easy installation. Requires a standard 1 gang, 2" deep back-box. Copyright 2013 Dicom Services, LLC.